In the twilight of encroaching darkness Mercury disappears at sunset toward the beginning of its retrograde period, initiating its invisible phase. As nightfall and its bed of glittering stars overtake our senses, we lose the light of Mercury during the liminal time of its retrograde until it’s reflected light returns again at dawn on the other side of its backward movement through the zodiac. During the time we have no hope of glimpsing the light of the star of Hermes, we can feel bewildered as our perceptual awareness shifts in correspondence as elements of our life pass away. The volatility of Mercury can be found in its mythic sources: Carl Jung called Hermes the “many-hued and wily god,” while Karl Kerenyi noted that the ingenious leaps in gain brought by Hermes also coincide with loss. Since Mercury stations at the beginning of December aligned with Saturn, there is adversity to face on the horizon. The solidifying stillness of Mercury stationing with Saturn also can bring the types of tests that ultimately foster increased strength, endurance, and structural foundations. Mercury’s retrograde cycle comes at least three times each calendar year, each manifestation unique and notable for more than a few reasons. However, the Mercury retrograde in Sagittarius that commences December 2 or December 3, depending upon your time zone, is especially remarkable for ushering us from our experience of Saturn in Sagittarius (12/23/2014 – 12/19/2017) into Saturn in Capricorn (12/19/2017 – 12/17/2020) while Mercury also spends an unusually long time in close proximity to the star of Kronos. Mercury first united with Saturn on November 27 at 27º27′ of Sagittarius, and after shifting retrograde will align with Saturn for a second time on December 6 at 28º23′ of Sagittarius. Mercury will remain within three degrees of Saturn until December 9, capping off a couple of weeks of close alignment. Mercury will eventually conjoin Saturn for a third and final time on January 12, 2018 at 2º47′ of Capricorn, and at this point we will be able to gain sharper clarity for how the events of the Mercury retrograde fit into vaster narratives. Mercury is serving as a messenger for Saturn, and though not the only meaning to be found in this period is certainly a fundamental aspect to contemplate. Mercury’s protean nature shifts and mutates more so than any other planet, weaving together polarities and delighting in the grayness of being in between dualities. Mercury can be both yin and yang, nocturnal and diurnal, spiritual and material, masculine and feminine, and readily accords itself with whatever planetary engagements it finds itself within. Additionally, the retrograde phase of Mercury is the time in which the meaning of Mercury itself changes, as its swift pace slows to a standstill at the beginning and end of its backward movement through the zodiac. Instead of firing quickly with curiosity in numerous directions of outward expression, Mercury when retrograde focuses internally with greater propensity for intuiting guidance through symbols and discerning the underlying meaning of both waking and dreaming life. Aligned with Saturn, Mercury retrograde takes on the significations of the star of Kronos, and so to navigate this passage optimally we need to consider how the archetypal forces of Mercury retrograde and Saturn commingle. Guardian of the many-sounding tongue, prophet to mortals. In our astrological tradition, the affinity between Saturn and Mercury is generally positive: the 17th century text Christian Astrology by William Lily stated that both Mercury and Saturn are friendly toward one another, while the 9th century Vedic astrological text Brihat Parashara Hora Shastra stated that Saturn considers Mercury a friend while Mercury in comparison is neutral about Saturn. In the 20th century archetypal tradition that synthesized ancient understanding from Hermetic sources within a depth psychology framework, the lineage from Carl Jung through James Hillman found a vital relationship between Saturn and Mercury within alchemy as well as through the conceptual duality of the senex (elder authority) and puer (eternal youth). In Alchemical Studies, Carl Jung noted that Mercurius contains the dual nature of senex and puer. Hillman later illuminated that the senex brings structure, discipline, tradition, and grounding, while the puer injects the vibrancy of idealism, imagination, creativity, and wanderlust. We can imagine the union of Mercury’s creative bridging with the structural discipline of Saturn through authoritative sources that sustain openness to invention and visionary change. Mercury retrograde periods bring the ability to focus deeply into mercurial research and communication projects, and so the influence of Saturn brings opportunities to base understanding from traditional lineages while opening awareness to how it fits within the current moment and zeitgeist. Fantasizing or speculating while disconnected from the responsibilities of reality during this Saturnine retrograde of Mercury will bring repercussions, however, and so flights of imagination need to sustain a level of grounded application. Whatever philosophical, intellectual, or spiritual frameworks we have been thinking and acting from will be confronted and tested and it will become obvious (if we are paying attention) where we have been deluding ourselves or how are belief system leads to adverse consequences we had not formerly recognized. 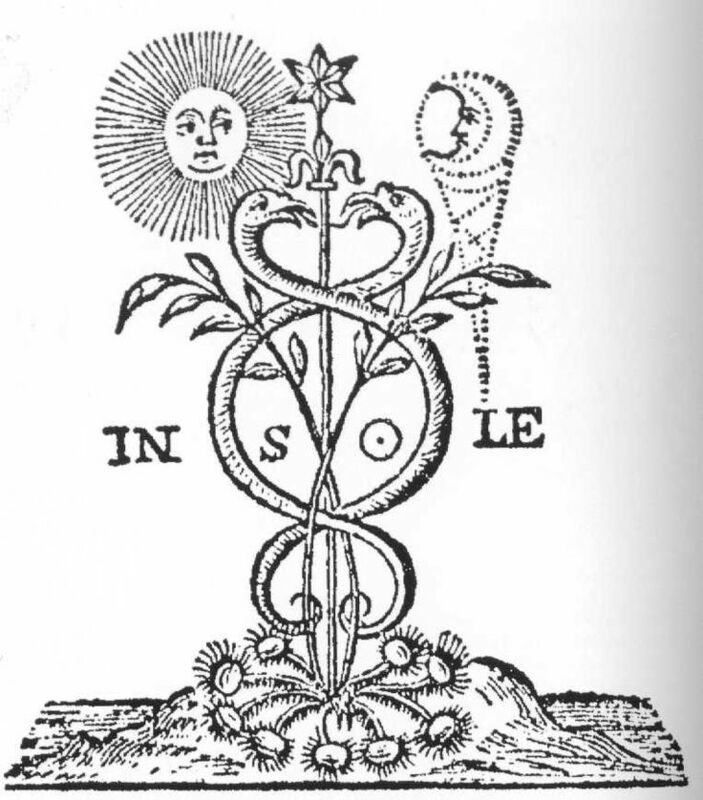 With regards to the interplay between Mercury and Saturn within alchemy, I was intrigued to find that Gary Caton linked the alchemical process of nigredo with the initial stationing phase of Mercury retrograde in his recently published book Hermetica Triptycha: The Mercury Elemental Year. The blackening and putrefaction of nigredo that Jung’s work linked to the dark night of the soul has been associated with Saturn as it brings a decomposition that ultimately leads to illumination. Since Mercury is stationing in alignment with Saturn at the end of Sagittarius, the peak period of darkness in the northern hemisphere that precedes the rebirth of increased solar light at the Winter solstice, the link to nigredo is even further increased. Caton wrote that the connection between the initial descent of Mercury retrograde with the nigredo process calls us “to purge the body, the psyche, and the life of extraneous or ‘dead weight’ in order to free up energy for future growth” during the beginning phase of Mercury retrograde (p. 112). Since Saturn and Mercury are both in the outwardly directed home of Jupiter, Mercury’s retrograde will be pulling us into volatile and stark examinations of our vision for how we create meaning from our experiences in life. Old thought patterns that have become habitually ingrained in our mind yet are no longer aligned with our authentic development can be dissolved and released with mindful focus and attention. In a more immediate and mundane sense, we will be called to question some of our goals and plans through Saturnine delays, blockages, or obstacles. It can be a pop astrology cliche to say that we should expect delays with everything happening in correspondence with Mercury retrograde, but with Mercury stationing in such close proximity to Saturn we are entering a retrograde phase that will force us to slow down and reconsider choices as we encounter restrictions or barriers of one sort or another. Instead of impatiently shutting down or trying to force things out of frustration, keep a steady and alert focus on how things are developing and be ever ready to spontaneously shift directions or make alterations and revisions as needed. Saturn and Mercury can guide us toward what needs to be modified for necessary reasons, whether we initially like it or not. Ancient Mesopotamian astrology also reveals some overlap in meaning between Mercury and Saturn through the associations of the planets with mythic divinities Nabu and Ninurta. Saturn was linked to the conquering hero Ninurta who retrieved the tablets of fate from a dragon of chaos who had stolen them, subsequently becoming an “overseer of fate and destiny” according to Michael Baigent in his book From the Omens of Babylon: Astrology and Ancient Mesopotamia. Mercury was linked to the messenger Nabu, a divine scribe who recorded the fate for the world in the coming year when the gods met to decide upon the destiny for the year ahead at the ceremonial end of the year. These ancient connections with Mercury and Saturn are fitting for the Mercury retrograde coming at the close of 2017, as its surrounding aspects portend the arrival of twists and turns in our personal and collective narratives. Mercury plays the role of psychopomp during its retrograde phase, and if we can make the space to go within for internal contemplation we can receive guidance from the depths of soul. Chthonic Mercury’s guidance can feel irrational at times, perplexing to habitual, egoic minds. Since Mercury is aligning with Saturn at the end of its time in Sagittarius and will station direct following the ingress of Saturn into Capricorn, we have a saturnine atmosphere to reflect back over all of our experiences in connection with the star of Kronos since it entered Sagittarius on December 23, 2014. At the same time we will be dealing with the final lessons Saturn in Sagittarius has to offer, and so the quicksilver of Mercury can help us mutate as needed and prepare us for crossing over the threshold of the forthcoming three years of Saturn in Capricorn. Mercury is a guardian of gates, doors, and liminal thresholds of all manner. Maintaining mindfulness will enable us to notice and discern whatever final messages we need to hear and integrate with Saturn in Sagittarius. A Full Moon in Gemini on December 3 launches us into the Mercury retrograde period with a boom and bang. Most notable in the syzygy are the aspects circulating between the Full Moon, Jupiter in Scorpio, and Neptune in Pisces. While the Full Moon forms a tight, catalytic square with Neptune, at the same time Jupiter in Scorpio is forming its first exact trine with Neptune in Pisces. Since the Full Moon is in the home of Mercury, there is incredible timing of the lunation ripening about eight hours after Mercury has officially stationed retrograde in union with Saturn. Altogether this brings increased potency to Mercury’s stationing much more so than normal, and whatever the Mercury retrograde is initially leading us to recognize and respond to will be obvious. The influence of Neptune over the Gemini Full Moon that initiates us into the Mercury retrograde harkens back to the square between Neptune and Saturn in Sagittarius that dominated 2016 and was one of the most prominent aspects of Saturn’s time in the sign of the Centaur. Among other current events this coincided with debates over national borders with regards to refugees and immigrants as well as a deterioration in the ability of the general public to discern the difference between fake and accurate media sources. We now have the transit of Jupiter harmoniously interacting with Neptune as the backdrop behind Saturn and Neptune’s movement through the homes of Jupiter, and during the Mercury retrograde we will also experience Mercury, Venus, the Sun and the Moon moving through Sagittarius. Since Jupiter in Scorpio is in the twelfth place from Sagittarius, the interplay between Jupiter and Neptune can deepen understanding through exposure of the previously concealed. However, the easy trine aspect could also result in people deluding themselves within dogmatic belief systems if they are unwilling to open their minds to evidence coming from a different perspective. The influence of Neptune upon Mercury’s retrograde through Sagittarius will not be going away, as Mercury will ultimately station direct in range of a square with Neptune. As a result disillusionment could arise in related events that can cause depression, but these same difficult events can also become a necessary wake up call with what needs our full attention to change or heal. The trine aspect between Uranus in Aries with Saturn has been another one of the key aspects within Saturn’s transit through Sagittarius that Mercury retrograde will also activate. Mercury in Sagittarius formed a trine with Uranus on November 25 while moving direct at maximum elongation, and will form a second trine with Uranus in Aries on December 10. After Mercury stations direct, it will move into its final trine with Uranus on January 6, 2018. The trine between Uranus and Saturn has brought opportunities throughout 2017 to innovate and open the structural foundations of our lives to greater freedom and authenticity of expression. Mercury moving back and forth in aspect with Uranus can help us attune to the aspects of organizational restructuring we have been developing that need additional support or repair. It also increases the volatility of the Mercury retrograde period through unexpected influences and change that comes rapidly with quick development. The shadow cast across the Mercury retrograde by Saturn means the disintegration of matters we will face are necessary, and so instead of becoming stagnant with depression we need to surrender to the unalterable changes while conserving energy for the creative action we have the time and space to make a difference with. The ancient Hellenistic text The 36 Airs of the Zodiac ascribed the primordial Ananke to the third decan of Sagittarius where Mercury will unite with both Saturn and the Sun during its retrograde. Since Saturn rules the third face of Sagittarius and has been present in transit here, the gravitas of Ananke has been accentuated. Austin Coppock in 36 Faces wrote that Ananke’s influence over this decan can be seen in daunting trials and tasks demanding uncomfortable endurance and effort. Forces of Necessity and Eros, Daimon and Fortune lay at the root of our astrological foundations. We have to deal with elements of destiny we cannot change and must endure, while we are also given opportunities to respond with clarified intention and co-create the life we most desire to lead. Do your best to flow with the currents brought along with Mercury’s sleight of hand rather than becoming frustrated by the aspects of life you cannot change. Astrologically, when the Galactic Centre zone is activated by transits . . . the places, people, ideas, notions and events in our life where we have previously projected our own sense of ‘Higher Self’, or ‘Deeper Centre’ as a source of nourishment may collapse, let us down, crumble, turn against us, or simply quietly depart. That which promised ‘immortality’ fails us. Our ‘tribal’ associations, national or racial identities, while valuable on their own level, are relinquished. Through these transitions or crises, our consciousness develops. This may require a great deal of psychological processing, allowing grief and confusion to give way to peace and clarity. Both our physical bodies and subtle bodies may need attention as toxins begin to be eliminated when we travel the ‘celestial pathway’. On December 12 we will experience the heart of the Mercury retrograde phase when Mercury is purified and reborn through a conjunction with our fiery Sun. Called the inferior conjunction of Mercury, it represents a time of illumination in which Mercury aligns in orbit exactly in between our Earth and the Sun. All of Mercury’s significations are strengthened during the time in which Mercury is transiting within a degree of the Sun, making it an excellent window of time for all mercurial activities. As we cross this threshold of the Mercury retrograde we enter a phase of deepening meaning and realization. Occurring at 21º14′ of Sagittarius, the influence of Saturn is further amplified by Mercury’s inferior conjunction happening within the Egyptian bounds of Saturn. The union of Mercury with the Sun is also occurring in range of a conjunction with the fixed star Ras Alhague in the Ophiuchus constellation. Ras Alhague is the brightest star in Ophiuchus and the head of the Serpent Holder. Ptolemy associated Ras Alhague with Saturn and Venus, interesting since both Venus and Saturn are co-present with Mercury retrograde in Sagittarius. Bernadette Brady wrote that “healing, teaching, or wounding” are the themes of Ophiuchus with a focus on reparations for whatever has been damaged. 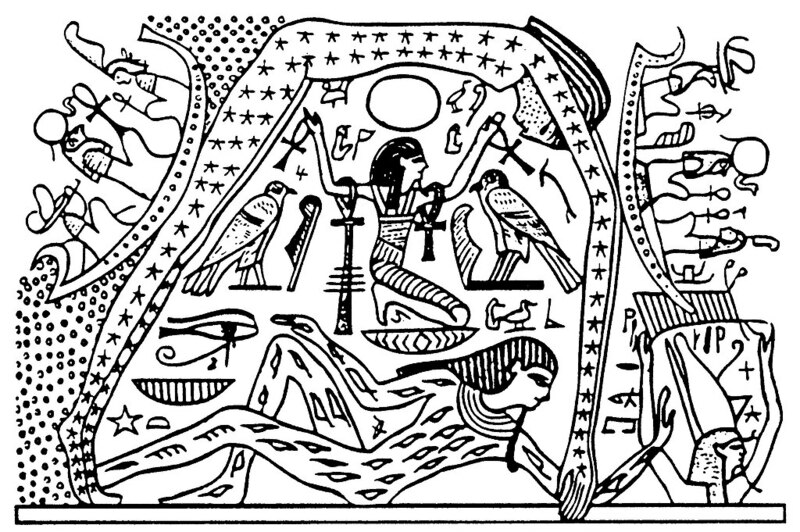 The healer connection with Ras Alhague is intriguing since the inferior conjunction of Mercury occurring nearby can facilitate attention to nurture whatever needs mending. Robert Hand and other astrologers have also connected the Serpent Holder with humanity’s attempts throughout history to grab ahold of nature in order to reap energy resources and power. We are clearly at a collective crossroads in terms of our use and misuse of nature for energy. Mercury’s back and forth through Sagittarius and across the Serpent Holder will bring significant messages concerning the need for change and the repercussions of inaction. A few days after Mercury unites with the Sun, Mercury retrograde will conjoin Venus on December 16 at 17º52′ of Sagittarius. Venus will be co-present with Mercury in Sagittarius for the entirety of its retrograde, making Mercury’s ability to find pleasure and harmony easier than it would normally be while in the same sign as Saturn. Similar to the recently reborn Mercury not being at full strength due to being invisible and finishing a purification process, Venus is also not at full strength and engaged in purification on her way toward an eventual union with the Sun. Venus and Mercury retrograde unite under a Dark Moon in Scorpio. Nights come full of secrets and delights that are hidden from external eyes. In the privacy of one’s inner sanctum healing and joy are possible during the interplay of Venus with the retrograde Mercury. Mercury stations direct in Sagittarius a day after the Solstice on December 22, the peak time of darkness in the northern hemisphere and the peak time of light in the southern hemisphere. This is also one day after Saturn enters Capricorn and forms a conjunction with the Sun at the Solstice. Mercury also shifts into direct motion in range of a challenging square with Neptune, while forming a harmonious sextile with the South Node of the Moon in Aquarius and a stimulating trine with the North Node of the Moon in Leo. If we have been open to flow with the chaos and allow for the necessary disintegration and dissolution, the coagulation of the Capricorn Solstice will bring needed reordering and rebirth along with the return of the holy light of Hermes. The close of the year brings a new cycle of Saturn in its own home of Capricorn, with Mercury bright at dawn and ready to take on all of the needed responsibilities in the day ahead. Baigent, Michael. (1994). From the Omens of Babylon: Astrology and Ancient Mesopotamia. Arkana. Hand, Robert. (2000). A Dialogue Between Heaven and Earth. Kerenyi, Karl. (1976). Hermes: Guide of Souls. Spring. Reinhart, Melanie. (2017) The Galactic Centre and the Centaurs. Wow! Probably the best piece on Mercury Retro online. Thank you! Thank you! I’m really happy to hear you liked this so much. Thank you so much for this wise , specific and wide-ranging piece . I am not an astrologer , and i will read this again , and then again ; thereby starting to get a ”handle” on it . I never knew there was so much Jung in astrology – a recent Tarot interaction with a Jungian deck spoke deeply . Thank you. Yes, Jung was an astrologer and I have the feeling he got a lot of inspiration and knowledge from astrology that he put into his psychological work. With my rising sign at 27 Sagittarius and natal Sun at 10 Pisces, I am paying close attention! Thank you so much for this brilliant piece! Thank you. How are you doing so far with all of this? You chart is certainly strongly impacted. Hope all is well.